Our company designs world class Galvanized Corrugated Sheets, which are immensely installed in several hotels, restaurants, shopping malls, sports facilities, farm buildings, commercial buildings etc. 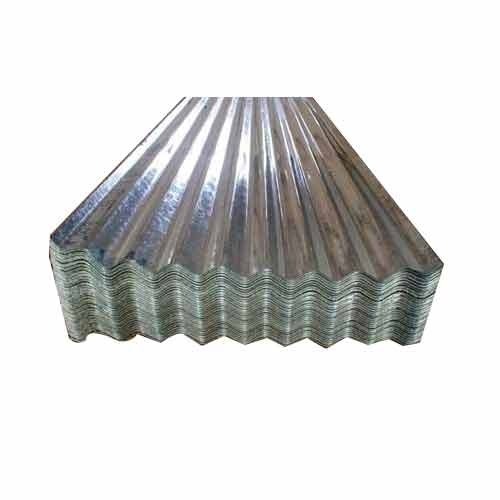 These corrugated sheets are galvanized with stainless steel and pre painted galvanized steel with prime coating of zinc. Our sheets are ideal for extreme humidity, wind, heat and precipitation conditions. We provide galvanized corrugated sheets in various shapes and dimensions to our clients as to meet their wide requirements. We give great emphasis on maintaining uniformity in the thickness of our sheets. Further, our sheets are corrosion free, UV rays protected and easy in installation with long service life.